The church has never found unity through sameness, but by celebrating how Christ uses the gifts of different parts of his one body. There are two churches in America. The church inside the Bible Belt and the church outside the Bible Belt. The ones inside the Bible Belt often look at the ones outside as compromised and soft on sin because of their rejection of long-held traditions. When we require the promise of numerical increase to motivate us to behave biblically, something is wrong. History has regularly shown us that any time we equate bigger with better in the kingdom of God, it leads to problems. Big problems. Bigger churches aren’t necessarily better. Smaller churches aren’t necessarily broken, stuck or ineffective. 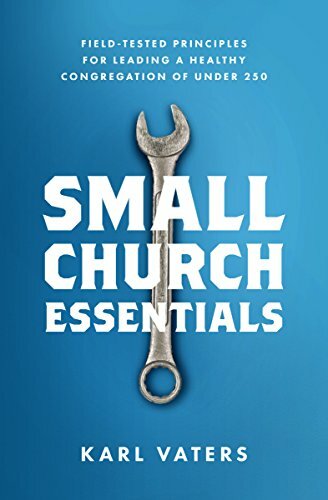 Effective churches exist in all shapes and sizes. Including churches that haven’t grown numerically in a while. When I’m pushing for numerical growth, I minister differently than when I’m caring for people. And not in a good way. When it comes to pastoral ministry, I've discovered an interesting (and sometimes frustrating) paradox. If your church is small and your budget is non-existent, new technology may seem out of reach. But it’s not. We are living more of our lives online than ever before. And our online time will increase for some time before it levels off. Small church ministry isn’t about following trends, it’s about knowing people. In the last few years there have been a lot of articles written about what’s wrong with worship music, and how to make it better. So many that they've been labeled the Worship Wars. This isn’t about that. It’s easy to criticize today’s worship music. Too easy. Simple steps to help you prepare better, preach stronger and have a greater impact. One of the greatest challenges of pastoring is coming up with something fresh to say to the same people week after week. Good leaders never make their decisions based on personal preference. They make decisions based on the mission. Good leaders have strong opinions. But our decisions should be guided by the mission, not by our opinions. While it may seem counterintuitive, thinking bigger and on a longer timeline is often a better way to get things done. You won’t succeed at your New Years resolutions this year. Sorry for the bad news, but it's highly unlikely, statistically speaking. But here’s what you can do. You can start. Want to write a book? Start writing every day. Lose weight? Start a healthier lifestyle.